Located at Main Street @ Broad Street. Shops, restaurants, live theater and heritage museum are just a few of the sites and attractions you'll find in the city's quaint historic downtown. Nearby dining includes Steven's Garden & Grill, Jalisco, MaryLou's Sandwich Shoppe, Twisted Root, Big D Barbeque. Located at Highway 287 @ Debbie Lane. Target, Ross, Staples, Famous Footwear, Pier 1 Imports, Payless Shoes, Claire's, Home Depot, Zales Outlet, Edible Arrangements. Nearby dining includes Mexican Inn, Spring Creek Barbecue, Cotton Patch Cafe, Chili's, Jason's Deli. Located at Highway 287 @ FM 157. Bike Center Mansfield, Lowe's, Sprint, Chase Bank, Blue Haven Yogurt Co. Nearby dining includes IHOP, Panera Bread, Chipotle, Smashburgers, Ton’s Mongolian Grill, Raising Cane's Chicken Fingers. Located at Highway 287 @ FM 157. Cinemark 12 and XD Theater, Dollar Tree, Best Buy, Petco, Michael's, Marshall's, Shoe Carnival, Lane Bryant. Nearby dining includes Uncle Bo’s Hamburgers, Our Place, Olive Garden, Applebee's, On the Border, Fish City Grill, Habaneros Tacos. Located at Highway 287 @ Walnut Creek. Aaron Rents, Sherwin Williams Paint, National Tire & Battery, Discount Tire, Big Lots. Nearby dining includes Texas Roadhouse, Los Molcajetes Mexican Restautant, Don Julio’s Mexican Grill. Located at Highway 360 @ Broad Street. Kroger Marketplace, Chase Bank, RaceTrack. More choices are located west and east down Broad Street. Nearby dining includes Dickey’s Barbecue, Hideout Burgers, Oliver's Fine Foods, Napoli’s, Rosa's Cafe and Tortilla Factory. Located at Matlock @ Debbie Lane. Walmart Neighborhood Market, Kroger, Lifetime Fitness, Compass Bank, Wells Fargo, Chase Bank, Aldi. Nearby dining includes La Gondola, Fuzzy's Tacos, Jersey Mike's, Blue Mint, Trio's Pizza & Pasta, El Primo's Mexian Grill and Cantina, Firehouse Subs, Dunkin Donuts, Jimmy John's. Located at Highway 287 @ Debbie Lane. Bed Bath & Beyond, Party City, Half Price Books, PetsMart, Sleep Experts, Title Boxing. A night at the movies is better when it’s in your own backyard. 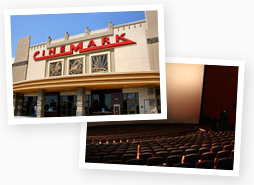 The Cinemark 12 and XD Theater offers 12 screens and the newest in cinema technology, Cinemark XD. Moviegoers get face-to-face with wall-to-wall screens, wrap-around sound and maximum comfort in every seat with an intense sensory experience. Musical acts from around the area are finding homes at Fat Daddy’s, Steven’s Garden & Grill and The LOT Downtown. Whether it’s the energizing bands at Fat Daddy’s, the intimate outdoor setting at Steven’s or weekend concerts featuring artists from across Texas at The LOT Downtown, live music has a home in Mansfield. Located in Historic Downtown Mansfield, the Museum and Heritage Center chronicles the history of the city and North Texas. 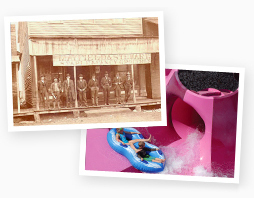 During the summer Hawaiian Falls offers something for everyone from large water slides and small wade pools. Big League Dreams contains eight Major League replica fields for baseball, an indoor soccer complex and two sports club style restaurants. Shop Mansfield is a project of the Mansfield Economic Development Corporation. Our office is located at 301 South Main in Mansfield (View on Google Maps) or you can call 817.728.3650. Please call ahead if you would like to talk in person. 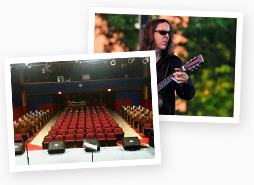 Have suggestions for the Shop Mansfield Spotlight? Let us know any topic ideas or requests you might have. Content © City of Mansfield. All Rights Reserved. A project of Mansfield Economic Development Corporation.